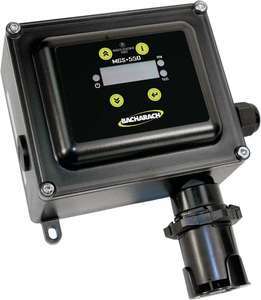 The Bacharach MGS-550 Gas Transmitter is a flexible-platform instrument that is easily customised for a wide variety of challenging applications. The MGS-550 is user configerable and capable of utilising electrochemical, semiconductor, catalytic bead and infrared sensors to detect an extensive range of refrigerants, combustible and toxic gases, as well as VOCs. - Industrial, commercial and institutional environments. - Range of refrigerant gases, including the newer low GWP refrigerant blends on the market, including R-448A, R-449A, R-452A and R-513A.